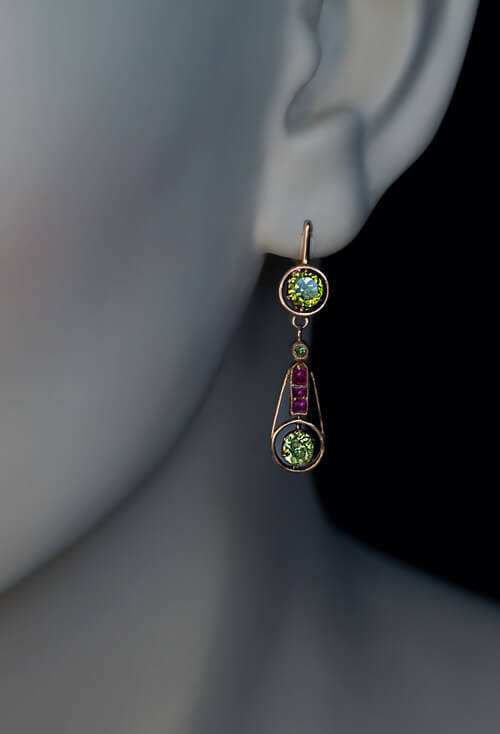 These Art Deco era dangle earrings are crafted in rose 14K gold and set with golden green Russian demantoid garnets accented by calibre cut rubies. 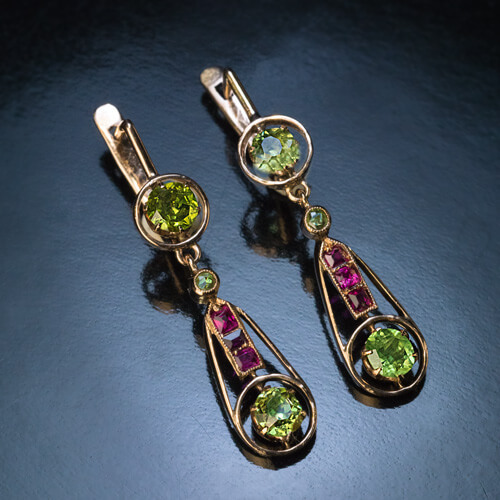 Estimated total demantoid weight is 1.60 ct. 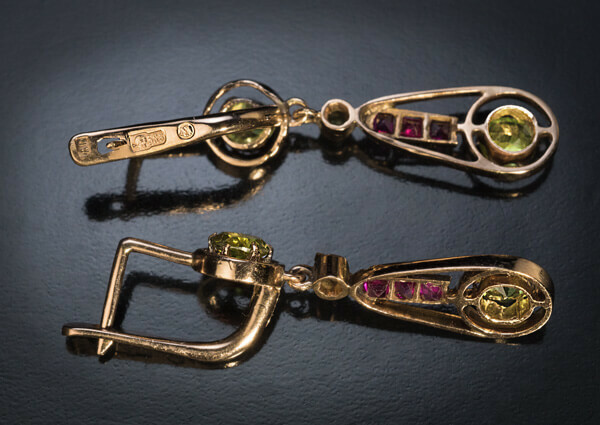 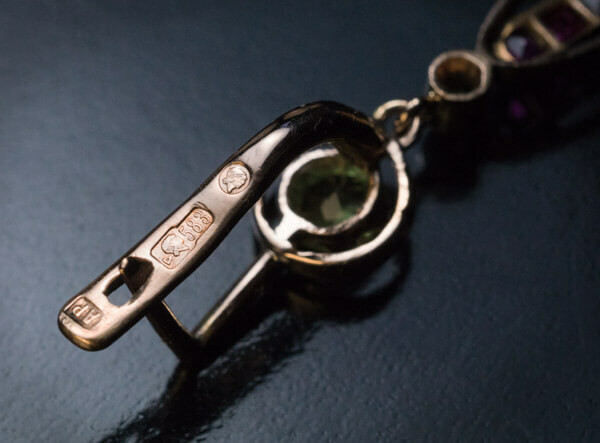 The earrings are marked with 583 gold standard / Moscow assay symbol and maker’s mark.